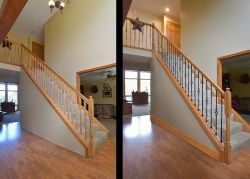 Want a new look for your home’s staircase but don’t have much time in your busy schedule? 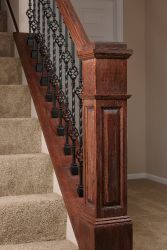 Elevate your home’s style or update the broken balusters that have been bothering you for some time now with iron balusters that feature elegant and modern designs. 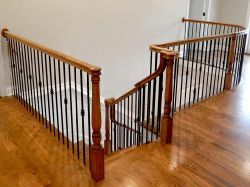 If durability and attractiveness are important for your home’s staircase then iron balustrades are a great choice, and Carolina Stair Supply's Rail Zip Clip™ system is how you can install them hassle-free. 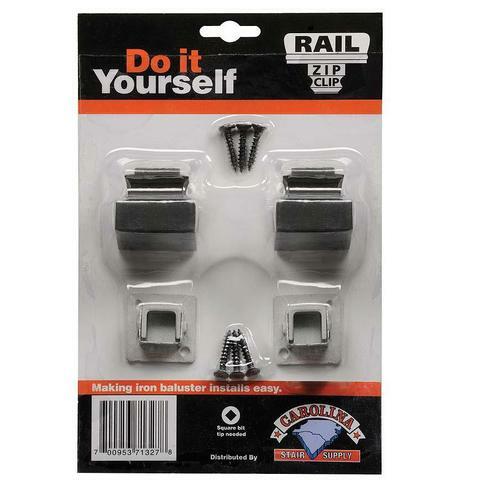 Our Rail Zip Clip System makes DIYs simple – 2 per pack, these angle shoes attach balusters to the handrail and base. 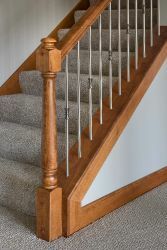 This system replaces the need for drilling a round hold for a square baluster, as would have to be done in a traditional installation of iron balusters, saving time. 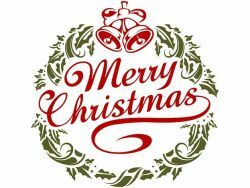 These packages include 2 base shoes, 2 pitch shoes, or 1 base and 1 pitch shoe. Replacing your old, worn-out, or broken wooden balusters is easier than ever with our exclusive Rail Zip Clip System. 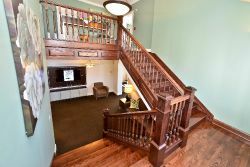 Plus, you can change up your home’s style with a new stain or paint on your wooden balustrade without the hassle of waiting for it to dry before installing your balusters. 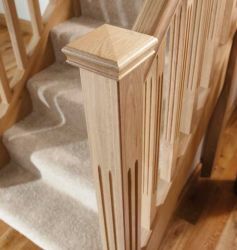 Our system allows you to you to install shoe fittings on your new or existing handrail, or apply a new stain and finish to your treads and newel posts, before going to back to snap the balusters in without hassle or mess. 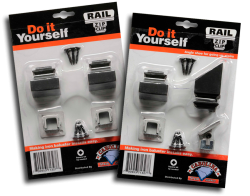 Quickly becoming an Industry favorite, our Rail Zip Clip System is the go-to product for DIY baluster projects, or for anyone who's looking for an easier way to install their stair components. 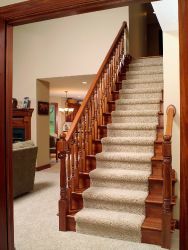 The simple instructions take a fraction of the time of traditional installs and work with any ½ inch iron baluster. 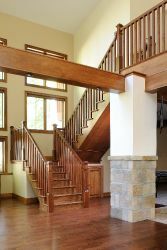 That means you can choose from our versatile line of iron balusters and have them installed in your existing staircase, making it look new again – the same day! 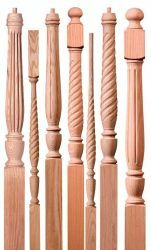 Out with the old in with the new – get your dream look by replacing the out of date wooden spindles that makes your home unremarkable to guests. Make the entrance of your home more spectacular in 2018 with the modern look, contemporary styles, or streamlined iron balusters that complement your home’s other details and accents, available in Satin Black, Oil Rubbed Bronze and Oil Rubbed Copper. 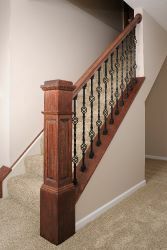 Plus, in addition to creating a more spacious and up-to-date look for your staircase and entry, our iron balusters are durable and made to hold up the wear and tear of a busy household. Why not take the short time to follow our easy instructions to get your home’s new look going? 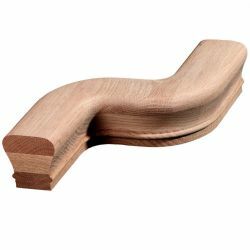 Carolina Stair Supply’s Rail Zip Clip™ System is what you need to make your installation a breeze, and will have your home’s balustrade looking beautiful! Choose from our selection of Iron Balusters, available in a range of stylish designs and finishes to complete your look, then it’s time to make your home staircase worthy of praise! 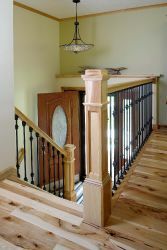 Carolina Stair Supply has all of the components you need to complete your dream balustrade. As a long time employee, Chad has worked his way up with the company over a number of years. Because of his longevity with the company, he's acquired a vast store of knowledge that makes him a valuable asset to our organization. Chad is the gear that keeps Carolina Stair Supply turning. Chad handles the orders and sales for all of our products.